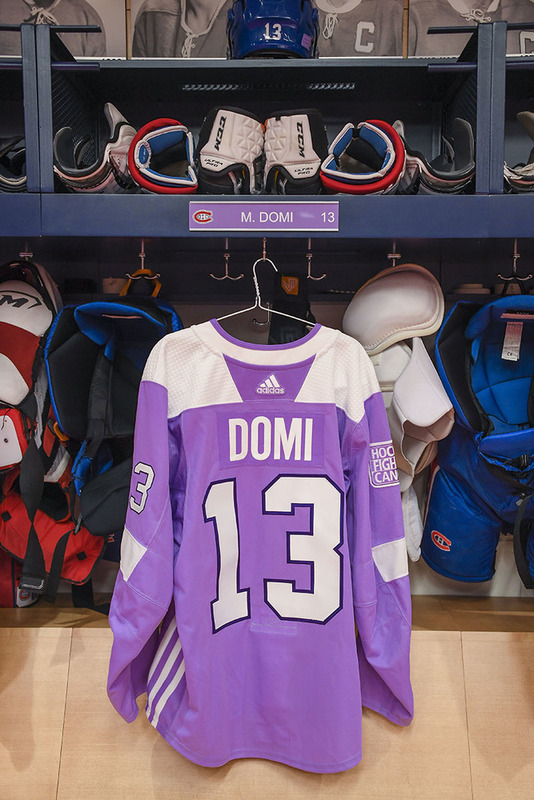 Bid now on this #13 Max Domi Hockey Fights Cancer lavender warm-up jersey worn during pre-game warm-ups on November 3, 2018 against the Tampa Bay Lightning. All winners will receive their jerseys via mail following the close of the auction. Local winners will have the option to pick up their jersey at the Bell Centre. All proceeds from the auction will benefit Leucan, an organization which supports children and their families who are affected by cancer. 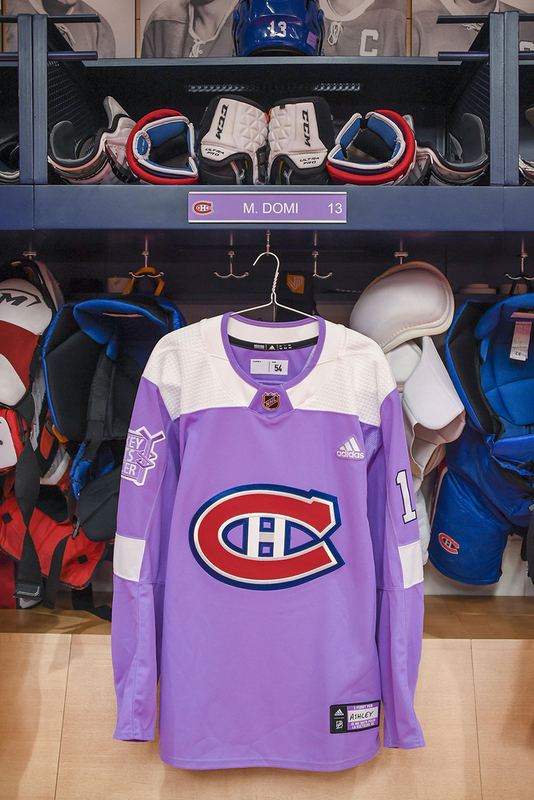 For more information about the cause, visit: www.leucan.qc.ca A certificate of authenticity will be included with the jersey and the jersey will be autographed.